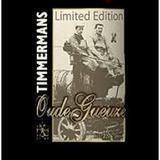 Ace's Beer & Soda Distributors Inc.
Timmermans® Oude Gueuze’s special flavour derives from its time-honoured method of preparation. It is a blend of old lambic, which has been aged for three years in wooden barrels, and young lambic which ensures spontaneous fermentation in the bottle. The different lambics are carefully selected by the brewer to obtain a perfect flavour.